It's Auckland Anniversary weekend and we spent a glorious day up at Omaha beach yesterday visiting friends. With very little on the agenda today, I'm stopping by to share this beautiful home with you, which seems very fitting during right now. 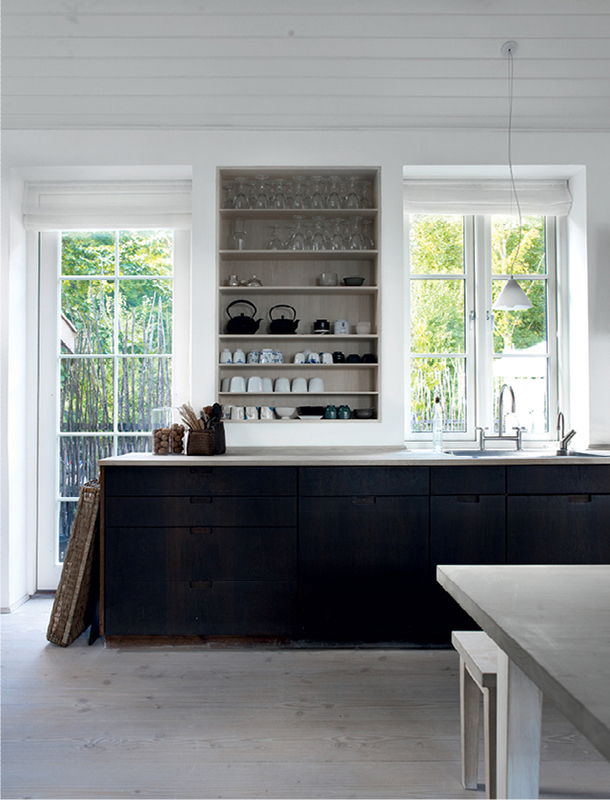 An old summer cottage built in 1926, it has undergone a huge transformation by owner jewellery designer Charlotte Lynggaard and her family. 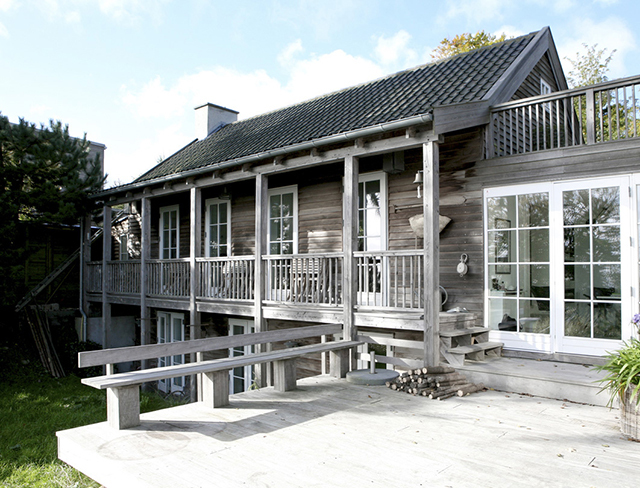 Located on the East cost of the Danish island of Zealand, it is surrounded water and trees and bathed in natural light. 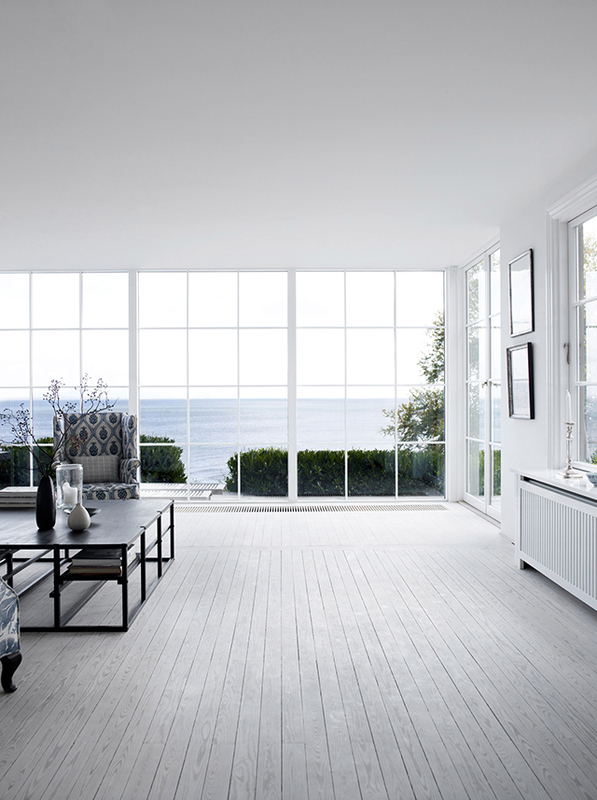 The stunning light streaming in from the expansive windows of the living room below is what initially caught my eye. That and the breathtaking view which actually takes in the Øresund Ocean for as far as the eye can see, and a vague outline of Sweden on the horizon. Bliss! 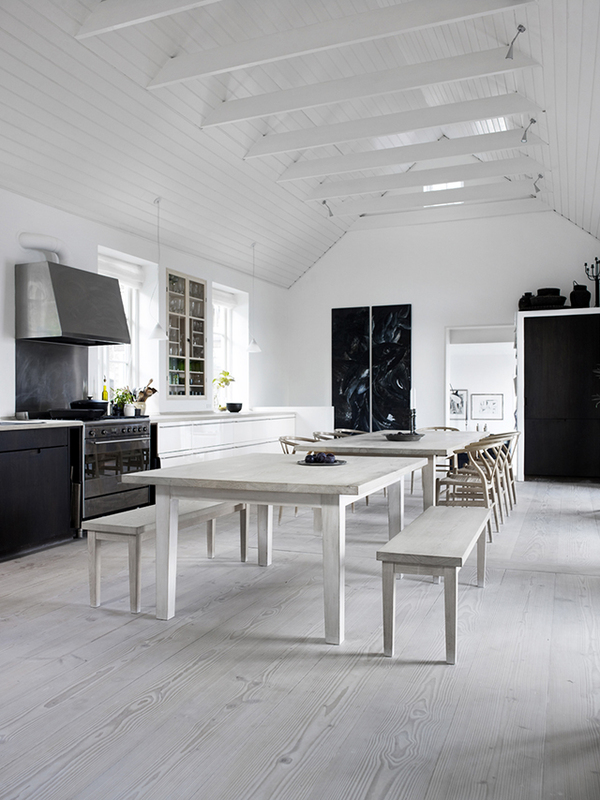 Also light-filled, the generous kitchen has two dining room tables to accommodate big parties. The pitched roof, wood panelled ceiling and beams further enhance the space, while the beautiful wood flooring adds warmth to the monochrome palette. 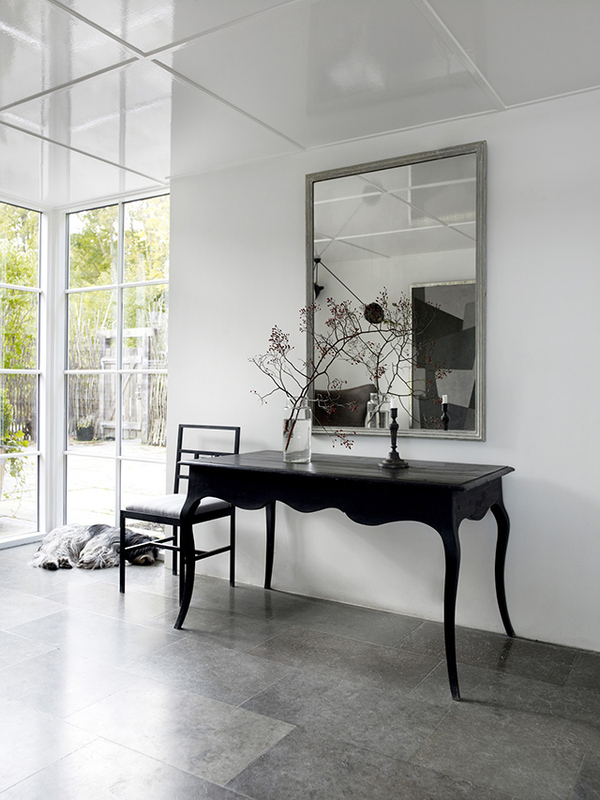 Elegant and restrained, the interior of this home features some interesting contrasts which add to its overall charm. Touches of Japanese minimalism mixed with classic design pieces such as Arne Jacobsen’s Egg chair are mixed with vintage furniture, marble accents and a touch of blue. 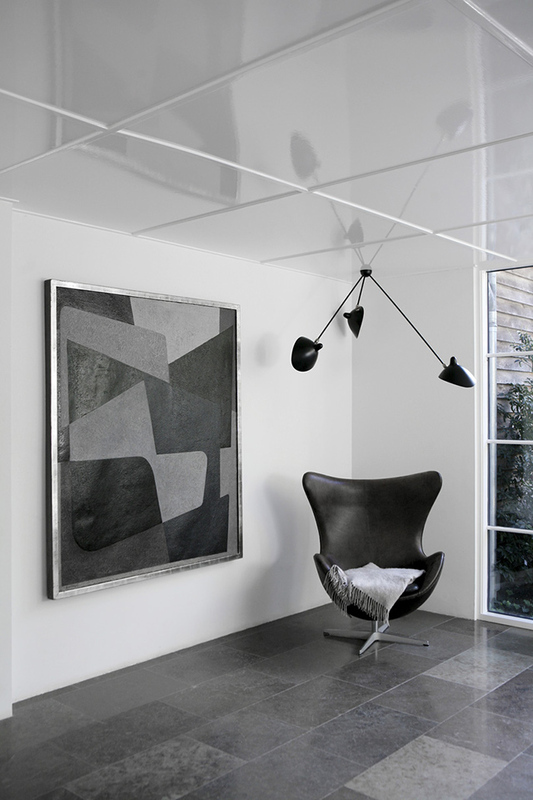 The overall feeling is one of relaxed calm, perfectly in fitting with the surroundings. 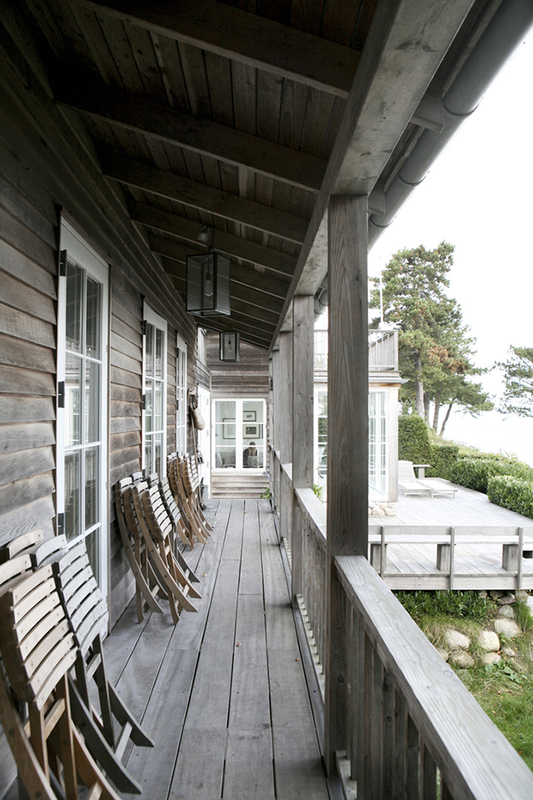 Wooden decking runs around the house leads down the hip, to a small pier allowing the family to enjoy the ocean. 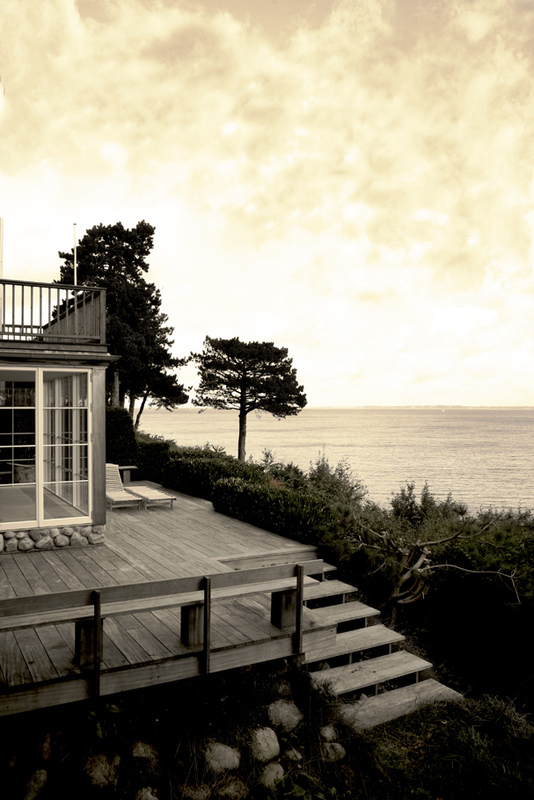 All in all a dream summer house, wouldn't you agree?